All 'priority routes' in Lancashire will be gritted tonight as the temperatures plummet. The county council said salt will be used to keep all main roads safe amid forecasts for frost and ice. 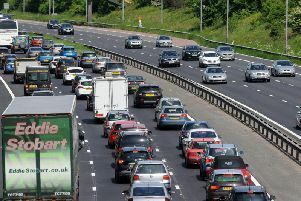 Drivers have been urged to 'drive carefully even on treated surfaces'. "Priority routes only cover a third of the highway network and ice patches can develop on treated surfaces caused by water run-off from fields or other sources," the council siad. The Met Office has already issued a yellow weather warning for snow on Tuesday and Wednesday.